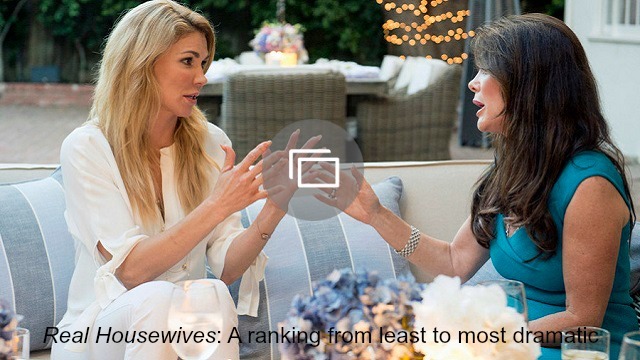 The Real Housewives of Beverly Hills star Brandi Glanville isn’t the world’s easiest person to defend. Some of her behavior has been downright shocking (and not in a good way) during the past few seasons. But Brandi’s pal and The Real Housewives of New York star Kristen Taekman makes some good points about her model friend. Team Brandi, anyone? During the Season 7 reunion for The Real Housewives of New York, Andy Cohen asked Kristen about Brandi Glanville. (For those of you woefully understocked with Real Housewives knowledge, Kristen and Brandi go way back, thanks to their modeling careers.) Kristen, not surprisingly, stuck up for her friend, saying she felt Brandi was “misrepresented” — particularly this past season. “I think that she’s going through a very hard time, and continues to, like many of the women on this cast have been going through some rough times,” Kristen said. Brandi isn’t really friends with any of the women on RHOBH — except maybe Yolanda and if you count the weird relationship she has/had with Kim Richards. Think about how much more likable Brandi was a few seasons ago when she and Lisa Vanderpump were close. In fact, she could have even been considered a fan favorite back then. Because she had allies. She wasn’t alone. She wasn’t swimming in a sea full of sharks. Who could be likable under those circumstances? Practically no one — especially Brandi, who, let’s face it, is a touch on the defensive side. I’ll admit, I wasn’t the biggest fan of Brandi the past few seasons. Her behavior often seemed rude and crass, and to be frank, a lot of the things she said and did were downright offensive. But, after hearing Kristen’s point, I see Brandi in a different way. In fact, I feel bad for her. Who wants to be on a show where almost every one your cast mates hates you? Sounds pretty awful. Now, I’m not saying that Brandi is Mother Teresa and Marie Curie rolled into one, and we’ve all been wrong about her these past few years. Buuut, we are mainly hearing things about her and seeing her interact with people whom which she doesn’t get along. How could she possibly seem likable? If a legitimate friend of hers says she’s always been a great friend, it’s hard to argue. As we all know, Brandi won’t be returning to Real Housewives — and that definitely seems like a good thing. The show doesn’t appear to be doing anything positive for her, and she seems to only be making enemies along the way. What Brandi needs is to lie low, focus on personal growth and spend time with her real friends — like Kristen Taekman. What do you think of Brandi Glanville?